One of the most common types of pillow available are feather and down pillows, and if you’ve ever owned a pillow throughout your life, then there’s a high chance you’ve slept on either one of these. They're also one of the best-selling types of pillows and are simply made and bring more positives than negatives for the user. You spend a considerable amount of your life in your bed sleeping, so it’s essential that you have the right sleeping surface which includes your pillow. However, choosing a pillow isn’t as easy as it sounds because you need to ensure that it fits your sleeping style, so you’re as comfortable as possible. We’ve created this guide to make this easy by showing you the best feather and down pillows available on the market. Now this authentic Hungarian Goose Down pillow is our pick as the best choice available on the market. It has a Goose Feather and Down core which provides support to the users head and neck as well as firmness. It has a central chamber made of 90% Hungarian Goose feather and 10% Hungarian Goose Down. The pillow comes in a choice of firmness ratings, with a soft firmness for front sleepers while there are soft/medium and medium/firm options for back and side sleepers so no matter the position that you sleep in there's an option for you. Each pillow has a mark of authenticity and is constructed using high-quality materials; you can even scan the QR code to trace its origins. They are free of harsh chemicals so if you have sensitive skin, this will not affect you and is approved by Oeko-Tex, EDFA and No-mite. The pillow also has a thread count of 280, so it is soft to touch and comfortable to sleep on while also having the firmness to support the vulnerable parts of your neck and head. Also included with each pillow purchase is a 5-year warranty so if the quality falters at any point, you can get it replaced by the manufacturer for no added cost. This shows that the company trusts the overall quality of the product and gives you added peace of mind. John Lewis has built a strong reputation over the years for bringing high-quality products to the market at affordable prices, and this Hungarian Goose and Duck Down pillow is no different. Made in Lancashire, this pillow is constructed with a feather core covered with a soft and plush down filling which provides comfort and support to the user without causing too much sinking. The pillow comes with a pure cotton cover so none of the fillings can escape, while also protecting from dust mites. This pillow is suited to back or side sleepers because of its medium to firm feel so it correctly aligns your spine as you sleep. As standard, each purchase is accompanied with a two-year guarantee, so your pillow is protected. 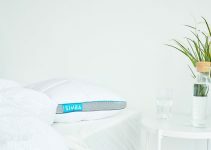 If you’re looking for an affordable yet comfortable pillow, then you won’t go wrong with this option especially if you’re struggling to get a good quality nights sleep — many users who suffer from a stiff neck and have reported that the pillow has alleviated the issue. 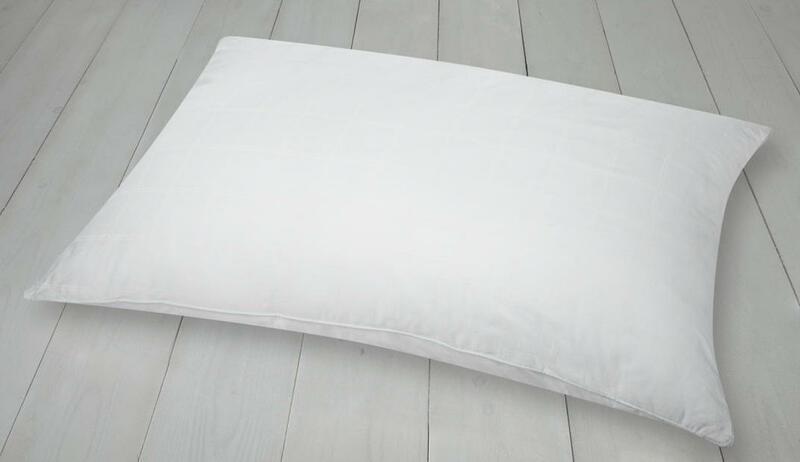 This White Company pillow provides a soft yet plump sleeping surface. With a filling blend of goose feather and down, this provides medium support and is ideal for both back and side sleepers. 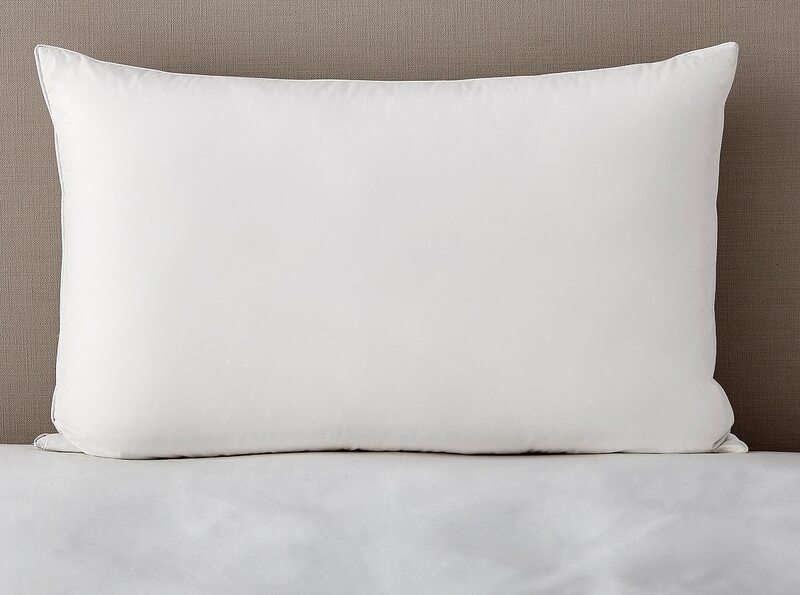 Containing 85% Goose Feather, this pillow retains its soft feel yet has the firmness to prop up and support your neck and head, so you fall asleep with ease. The White Company are known for their high-quality products, and although this a little on the more expensive side, this will last many years before needing to be replaced. No detail has been missed with the product from its bright white colour to its faultless stitching. The pillow is also machine washable and can be tumble-dried. The pillow is available in the following sizes: cot bed, standard and super king. The pillow has a thread count rating of 233 which further proves its claims of being soft, while also being a safe and natural option for all members of your family due to being NOMITE and Downafresh certified in addition to passing the Oeko-tex 100 standard). Homescapes have been making waves in the bedroom department for some time now and have established their Goose Feather and Down pillow in the market. This product comes as a pair and has double stitched seams so the high-quality whole feathers can’t escape from the pillow. In terms of firmness, this pillow rates as medium softness making it ideal for back and side sleepers, with a 233 thread count, so it’s soft and comfy to sleep on. The feathers themselves adhere to the European Oekotex standard, and each shipment of pillows is supplied with a proper treatment certification. This treatment ensures that all dust mites get killed and that the feathers are clean and healthy. The filling itself is 85% Goose feather and 15% Goose down and has a hypoallergenic cover. Because of the build quality, you can expect this pillow to last several years; you need to give it a quick plump after each nights sleep to retain its shape. This Slumberdown Goose Feather and Down pillow are jam-packed full of Goose feather and Down feather giving a comfy, lightweight feel. The pillow is also Down proof which means that it has two covers to prevent stray feathers from poking and escaping through the material. Not only does the pillow give a comfortable sleep but it also has a piped edging to provide extra durability and a lovely finish. The pillows are easy to care for and are machine washable and tumble drier friendly. You need to be sure that they are thoroughly dried before you begin to use it; otherwise, it may start to smell. The pillow cover is 100% natural cotton with temperature regulating properties to ensure that you stay cool throughout your sleep. Ideal for back sleepers, these pillows provide medium support while also being hypoallergenic. The pillow is also supplied in a pair so you can give one to a partner or family member to improve their sleep. Feathers and Down fillings come from different parts of the bird with the most common birds being geese and ducks. These fillings are also commonly found in mattresses, duvets and other sleeping accessories due to their comfort. Down filling comes from the underbelly of the animal and is very soft in feel because of its structure which is made up of numerous small tight bunches of light feathers which work to retain heat which keeps you warm. This makes it one of the best insulating pillows; however, this does mean that if it gets wet, it’s difficult to dry because it retains moisture. If you purchase a pillow cover, then this will remove this potential issue. Goose feathers come from the back feathers or wings of Geese and are of a higher quality to Duck feathers which also means that it commands a higher price. Goose feather also has that distinctive strong, pure white colour. Ideally, you should purchase a blend of both down and feather to feel the best benefits. Duck feather filling is the cheaper alternative; however, it'll still deliver a great sleeping experience, but they are just more affordable. They are less popular than Geese feather filled pillows because they're both similar prices, so it's recommended that you go for the Geese filling. Feather pillows are better suited to back and side sleepers in comparison to down pillows as they're slightly firmer. Feather pillows over time will begin to release its feathers; however this risk largely depends on the quality and the length of time that you’ve had the pillow. If you use a pillow cover, then this will stop the feathers from poking through and being released. The most effective and comfortable feather pillows contain a down filling, which works to reduce the firmness of the pillow giving it a luxurious plush feeling making it more comfortable to sleep on. Feather pillows can be a little too firm for some users, and down filling is of higher quality and will extend the life of your pillow. Pillows that contain Down will often be more expensive, but it is well worth the extra investment. Feather and down pillows are very affordable which is one of the reasons why they’re so popular amongst sleepers. If you buy online, they will be even cheaper which is very impressive considering they usually last many years before needing to be replaced. When compared to other types of pillows, they have a very long lifespan usually lasting many years before you need to buy a replacement. 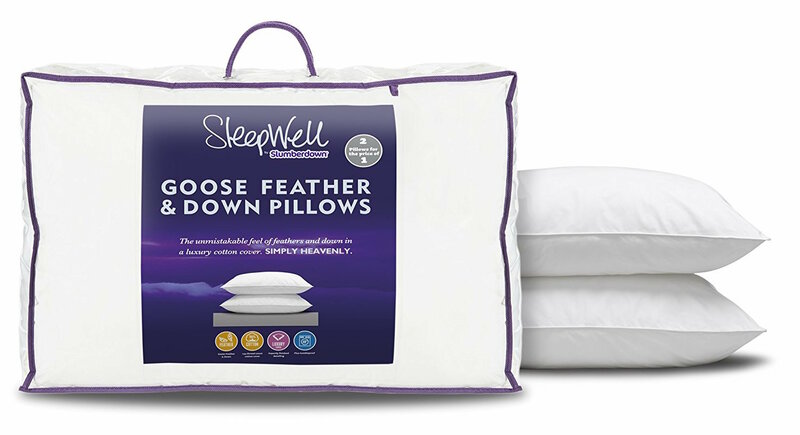 Feather and down pillows are a long term investment because they are so durable. These types of pillows have a unique plush feeling when you sleep on it, and the only way to describe it is by comparing it to sleeping on a cloud. 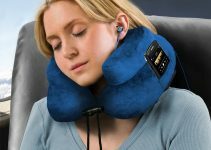 These pillows manage to provide excellent support to your neck and head area without diminishing comfort, so you wake in the morning feeling refreshed and well rested. One common complaint of other types of pillows such as memory foam is that they absorb and retain heat making you overheat throughout the night. Feather and Down pillows sleep cool so as heat leaves your body and enters the pillow, it doesn’t retain this heat but instead releases this heat, so the surface remains cool. This is a common issue that many sleepers have, but this pillow type solves it. Feather and Down pillows are suitable for sleepers of all positions because they are soft and plush so they can be manipulated and shaped into the users desire position so are great especially for those who don’t stick to one sleeping position throughout the night. A commonly overlooked benefit of a pillow is its ability to be scrunched and squashed into your desired shape or height. These pillows have a high level of flexibility so can be easily moulded if you want a custom shape or size. If you need a high loft height, then you may need to choose an alternative pillow type. 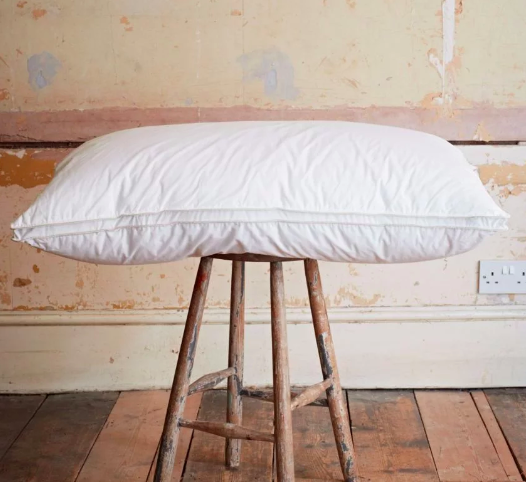 Losing shape isn’t a problem that’s exclusive to feather and down pillows, because over time all pillows are going to lose their shape however you need to give it a quick plump and it will be back to its original size. A pillow cover works as a protector and is the layer between the pillow and your face. These covers are commonly made of cotton or polyester while also being hypoallergenic to ensure that you won’t be prone to any allergic reactions. Having a pillow cover will also eliminate the threat of dust mites, so it’s important to consider whether your chosen pillow is supplied with a pillow cover. However, if you already have a pillow you can use an existing cover with your new pillow. It’ important to consider the cost of your desired pillow, and the best goose down pillows will cost more than a regular pillow due to the better build quality. Duck Down will be more affordable while still bringing some benefits for your sleep quality. Due to the relative firmness of the pillow, it’s ideal for back sleepers as it keeps the spine adequately aligned relieving the tension throughout the night keeping your muscles relaxed. Goose and Feather pillows are also well suited to side sleepers because of the spine alignment that they offer and the firmness of the pillow itself. Front sleepers may take a little more time to get used to this type of pillow because of the lower loft. The poorer quality pillows will have more of a sinking effect so you may not feel supported, but the best Goose down pillows will give you support throughout your sleep. It’s important to be aware of how your desired pillow needs to be cleaned, and by following the guidelines, it will extend the life of your pillow. It varies from pillow to pillow; some can be machine washed whereas pillows with higher levels of Goose down will often need to be professionally dry cleaned to maintain the quality of the pillow. Thread count is defined as the number of threads per square inch, with a square inch being vertical and horizontal within a square. The higher the thread count, the softer the material will be on your skin. This often has no reference to build quality or durability but a good rule of thumb is anything over 200 is good quality. Most pillow brands follow the same sizing guide to make it easier for customers to know what size they’re buying. The size for you will depend on a range of factors including budget, bed size and personal preference. Overall Goose and Feather pillows are a great choice for a pillow especially if you sleep on your back or side. However, our number one option also has a firmness rating which is excellent for front sleepers too. Not only does the best Goose and Feather pillow keep your spine aligned but also dissipates heat so you can remain cool throughout the night. They also mould and scrunch well into shape, so if you sleep in an unorthodox position, then this pillow will cater to that.